I’ve got webCoRE running on Hubitat now. I think everything is correct, from ajayjohn’s. Whenever I select devices to include, under “Available devices”, they’ll show up, but they don’t stick. I click “Done” and go back to find nothing selected. Therefore, can’t access anything in the dashboard. I’ve experienced the same issue while using the last couple of Webcore updates. 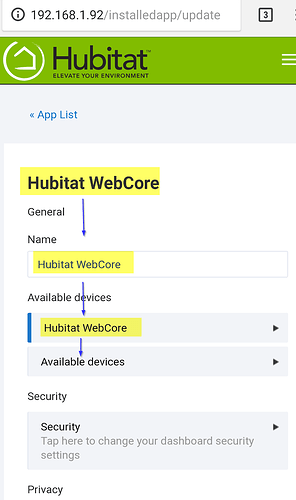 If I was trying to select these values after starting in the main Hubitat app, then Apps > select Hubitat Webcore, then Settings, these values did not save. 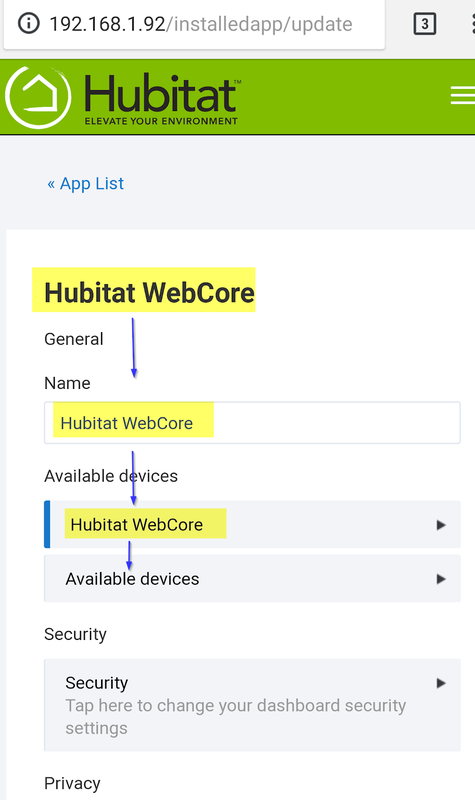 If instead I chose Hubitat Webcore Storage and made these selections, then these values would be saved. Ah, thanks @KiloWatts I can see that now. I’d suggest that area of UI needs a bit of tweaking.